Over the weekend I updated the following 5 images from the Trombone History Timeline. All of them had been either black and white or lower resolution. Special thanks to Tassos Dimitriadis and Adrian King! 1549—Munich, Germany: Outdoor Feast, a painting by Hans Mielich (Müelich), court painter for Duke Albrecht V, depicts an outdoor wedding banquet. 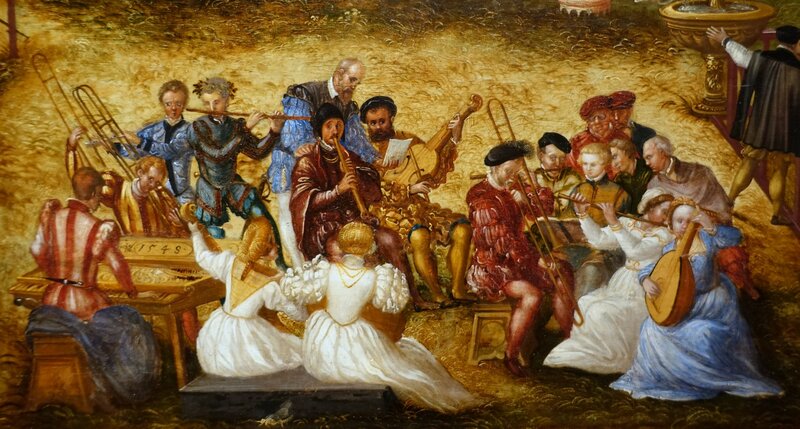 The music ensemble includes 2 trombone players, one of whom may be emptying water from his instrument and/or holding multiple instruments. 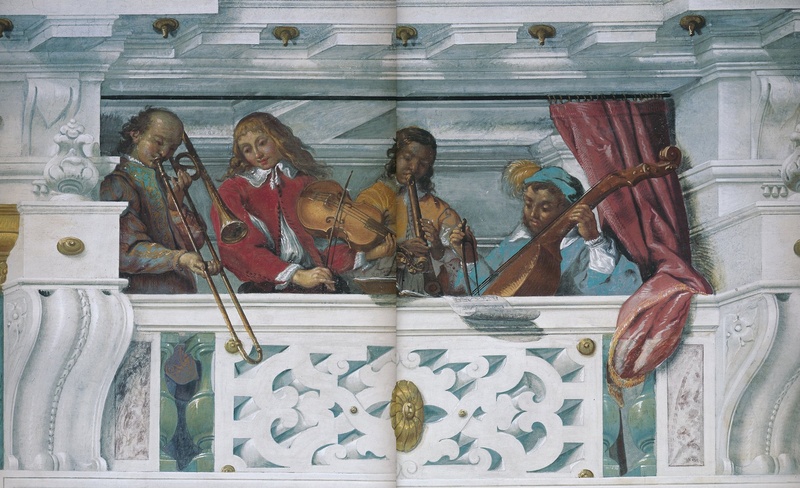 The painting also shows, in a different area, a dance band consisting of 2 trombones and another instrument (probably a shawm) (see detail and full image below; public domain image) (Kenton plate 14; Buchner plate 95). Special thanks to Tassos Dimitriadis. 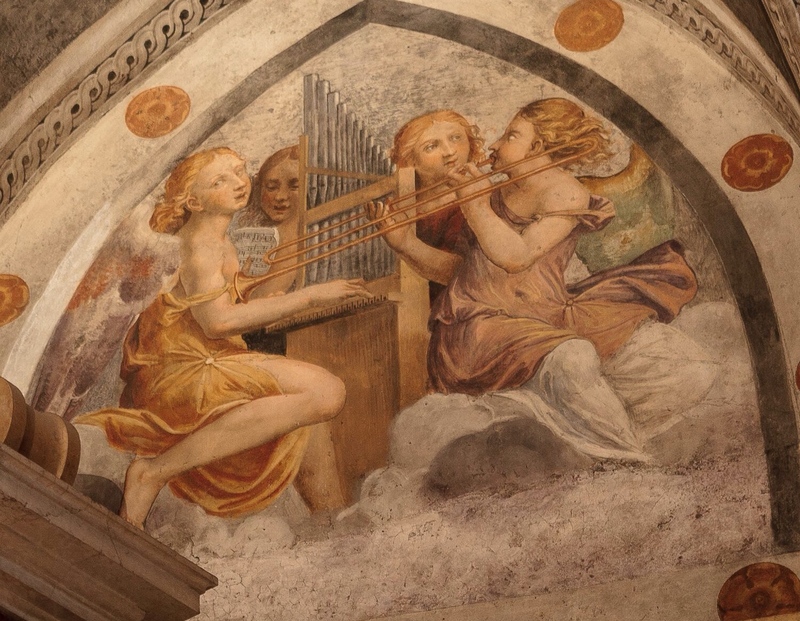 c. 1550—Verona, Italy: A painting of angel musicians by Domenico Brusasorzi (also called Domenico Brusasorci and Domenico Riccio) in the Chiesa di Santa Maria in Organo includes what is probably a trombone. 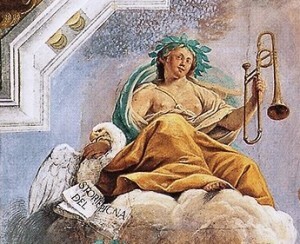 Although the bell section is longer than the slide, the slide is still quite long and is gripped like a slide of the time; also, the rear bow of tubing extends behind the player’s shoulder (see below image; public domain) (Paganuzzi, La Musica a Verona, fig. 307). Special thanks to Adrian King. 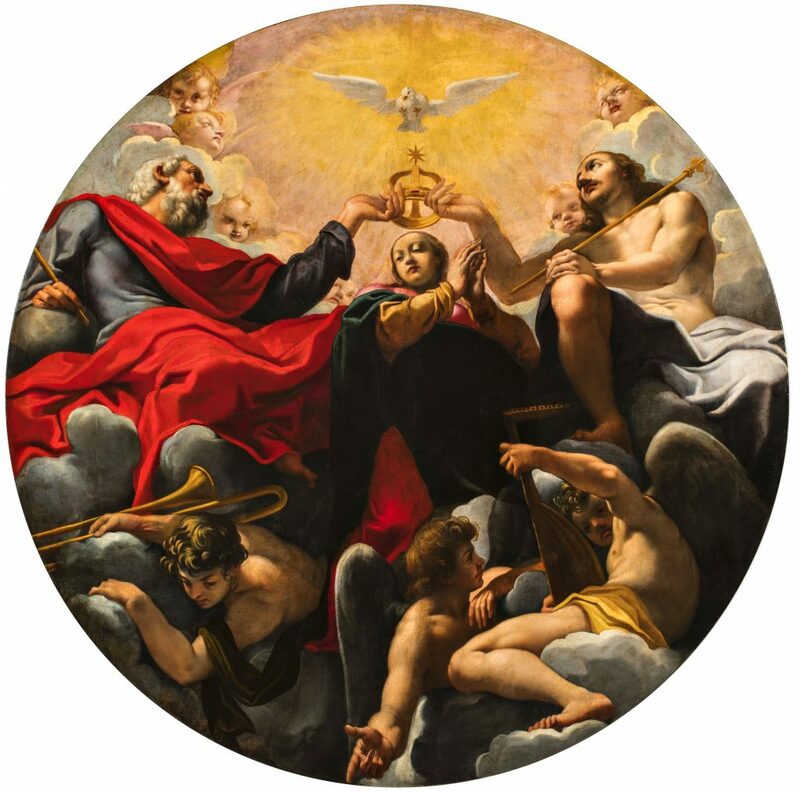 1617-1622—Ferrara, Italy: Incoronazione della Vergine, a painting by Carlo Bononi in the basilica di Santa Maria in Vado, includes a lute and trombone (see below image; public domain). Special thanks to Tassos Dimitriadis.